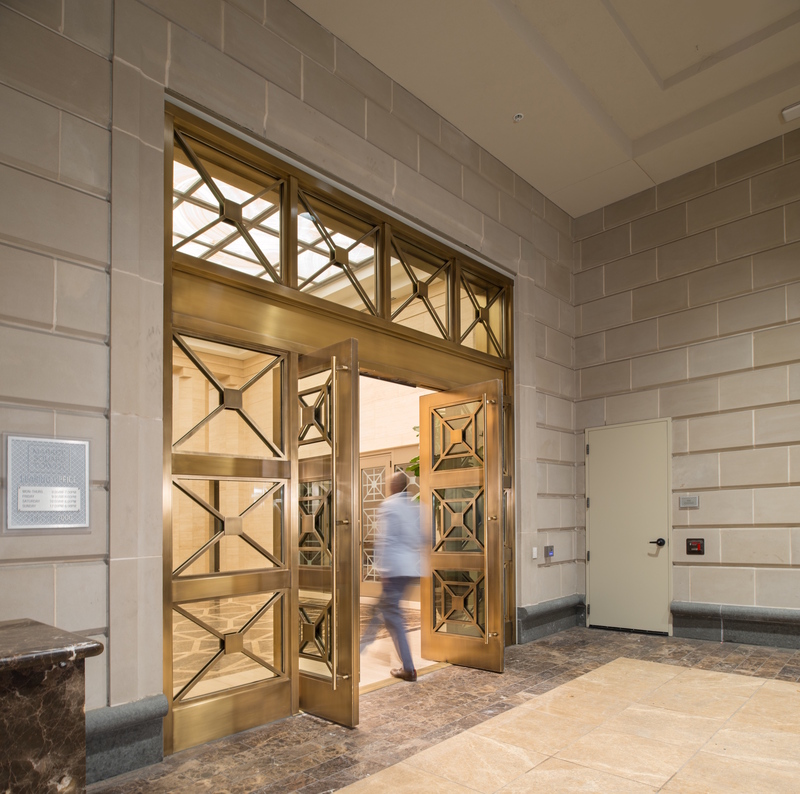 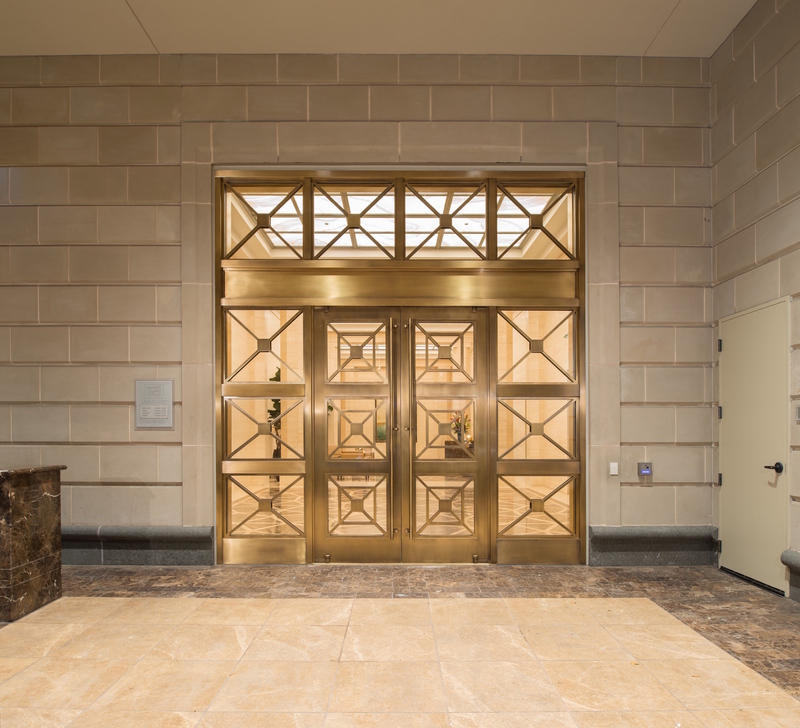 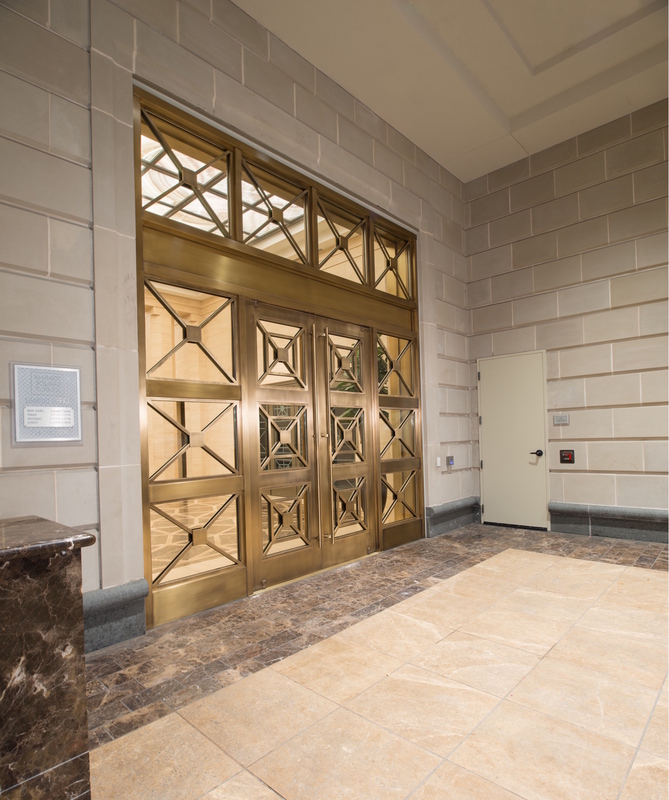 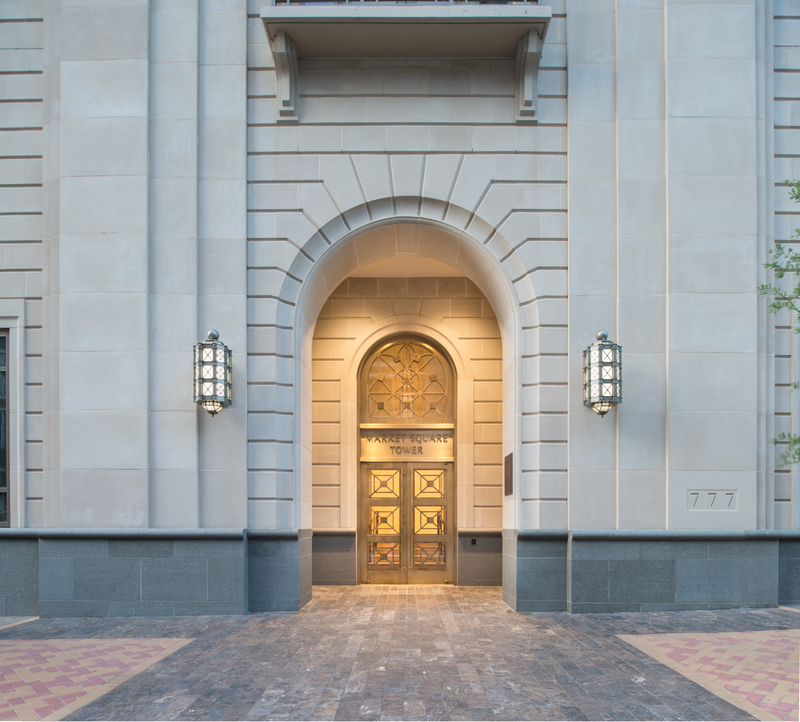 FALCONER, NY… Houston’s tallest luxury residential high-rise, Market Square Tower, greets tenants with three pairs of custom balanced doors by Ellison Bronze. 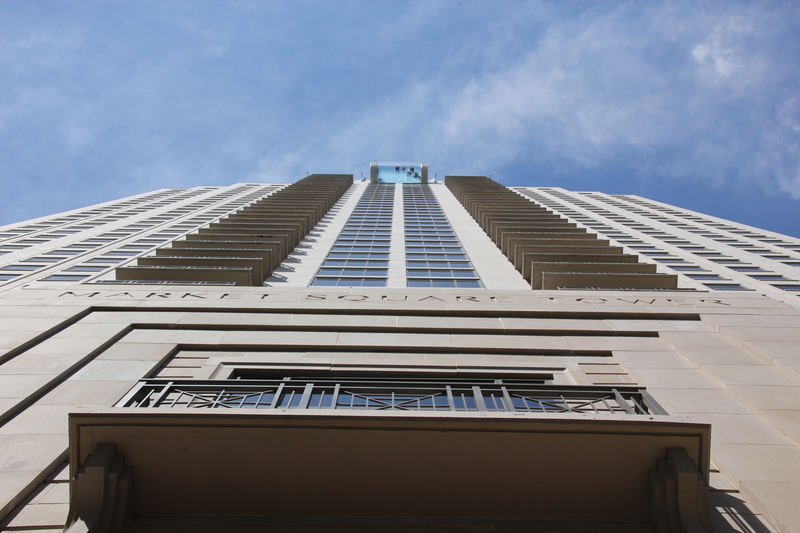 The 40-story, 463-unit deluxe apartment tower located at 777 Preston Street in downtown Houston features three formed bronze Ellison entrances. 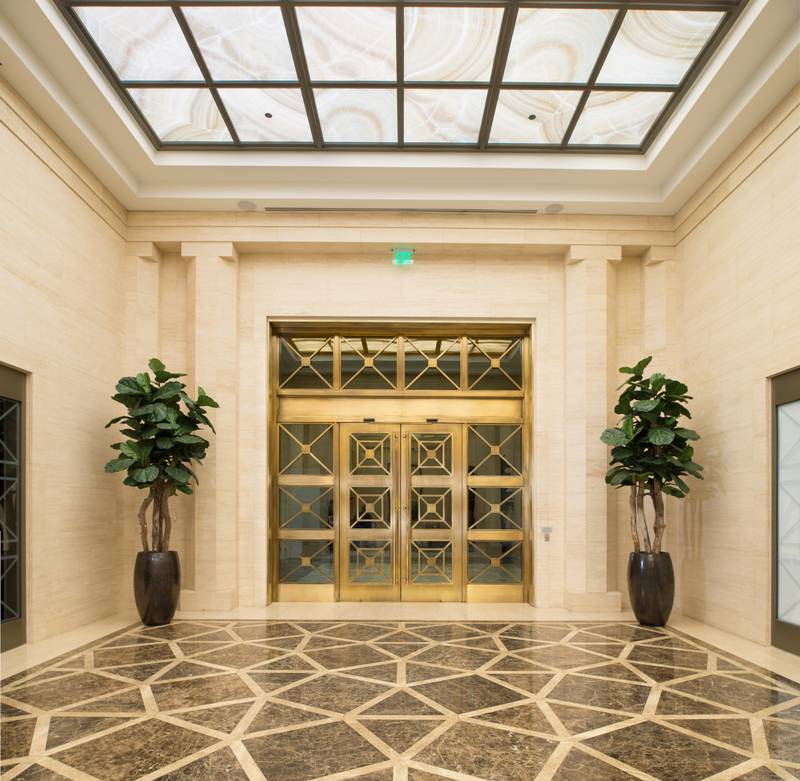 The main entrance showcases a beautiful 60” x 59” arched transom with a decorative bronze grille, custom cut using Ellison’s new waterjet technology.